The Air Force and other officials have always denied the authenticity of UFO sightings. They, in fact, have stock answers for nearly all reports from swamp gas to mistaking Venus and weather balloons for flying saucers and If these responses don't fly (pun intended) then they accuse observers of hallucinating. I personally have clearly witnessed UFOs and I promise you I was not hallucinating nor was I fooled by Venus or swamp gas. And how about sightings such as the one at Chicago's International Airport, when employees and pilots reported a saucer-shaped craft hovering over O'Hare's terminal before shooting vertically into some unknown distance. Surely that many witnesses weren't drunk, crazy or enduring some sort of mass hysteria. This was in 2006. Two years before this incident there were UFO sightings in Tinley Park and Oak Park in the same area. In 2014 there were not only a series of reports to police that UFOs were being seen, but that the "objects" hovered for nearly 15 minutes. This was in Breckenridge, Colorado. It is nearly impossible to believe that government(s) refuse to acknowledge that sightings are actual. In the above I have listed only a tiny sampling of UFO reports and I've only mentioned a few recent incidents in the U.S. There has been of course sighting worldwide. In 2009 a formation of 7 UFOs were seen in South Africa and other sightings in Japan Australia, Europe, Russia, South America and just about everywhere else on the planet. If I were to list all the sightings over the past fifty years, this text would be volumes thick. And many of these reports include were from military personnel, police officers and politicians right along with populations of ordinary people who have seen and reported extraordinary flying machines obviously not belonging to this planet's aircraft.. Among the most impressive was that massive triangle above Albuquerque, New Mexico a few years back. The UFO seen by multiple witnesses was said to be several football fields in length. If UFOs do exist and countless people attest that they do, how might they travel through the vast distances of space? We common folks, like scientists and other authorities, can only speculate how UFOs seem able to travel through the stars. Indeed, with our current technology it would take us around 190000 years to reach Proxima Centauri our closest star. It is only 422 light years from us. (A light year is a speed traveling at 186,000 miles per second). So even if we could send a manned ship into space traveling, at say, 35,000 miles per hour, it would take us thousands of years to get there. This is a major reason why a few scholars and other would-be intellectuals believe that NASA's space program is a waste of time. They make the conclusion that sightings are either natural phenomena or hallucinated. I am sure that back in the day they would have been first to say horseless carriages will never work and the idea of a flying machine was mere poppycock. In any case, not 35,000, 50,000 or even 100,000 MPH will solve the time/space challenge for even exploring our own galaxy by human explorers. Mars, Credit: www.windows2universe.orgfor example, is only 140 million miles from us; a hop, skip and a jump compared to planets circling other suns. (Indeed, the manned trip to mars is estimated to take only around six months. However, the astronauts will have to stay on Mars until the planets align for their trip back so we’re talking about a two year mission). So space travel is far more complex than achieving lots of thrust. The velocity needed will no doubt take more than nuclear power or some extraordinary ion driver to support a colony ship reaching deep into the heavens. So how do UFOs (AKA flying saucers) do it? This is a highly complex question to try and answer. For one thing even traveling at the speed of light it would take a long time to even reach a relatively nearby planet known as Kepler 1861. (Kepler 1861 is in the constellation Cygnus, is earth-like and circling its own star. (It is around 500 light years from us). And so, going outside our own solar system appears to be a near impossible task even using today’s fascinating technology. Yet, it seem apparent that alien UFOs can “zip” through outer space at extraordinary speeds. In fact, and in this regard, the UFO that I witnessed “zipped” half way across the night sky in around 15 seconds before it hovered. That’s mighty fast! Some physicists and other scientists talk about “folding space” in order to move from one place to another amidst the stars. Well, as said earlier, it seems an impossibility to break the speed of light limit. Nevertheless it might be done, we are told by warp drives, space folding or through wormholes Credit: www.space.com All of which would be highly complex to accomplish and certainly far beyond our capabilities now. So how do the UFOs do it? Well, unless our physicists and scientists have actually been able to do reverse engineering on a recovered crashed UFO (or special agreement with aliens) your guess and mine are darned near as good as any astrophysicist’s. With that in mind, I will offer you my speculation: My guess is that the reason we’ve been seeing UFOs for millenniums is because they are somehow able to change dimensions entering and exiting realms that are not confined by our time and space limitations. This makes more sense to me than the ideas of bending space or wormholes creating a kind of autobahn-type shortcut through space. There are always alternative views of course: Alien crafts may be using an anti-gravity/electromagnetic force that is simply beyond our comprehension much less our capabilities to build. As said in the above, your thoughts, imagination and scientific speculations are virtually as important as anyone else’s when it come to the How-to of deep space travel. There are more challenges than “speed” to deep-space travel of course. A handful of these challenges include (1) The complexity of deep space travel exceeds mere thrust and velocity. (2) For astronauts traveling in space, especially for more than a year, there is galactic radiation to worry about and (3) Experiencing microgravity, that is, floating in a space craft as astronauts do, can cause severe health problems because we earth-beings need gravity to keep our muscles and bones healthy. Long periods in space can cause bones to become brittle and muscles to shrink. The point is that there are a great many obstacles that need to be crossed before we can dart around space like Star Trek’s Enterprise did. Yet, alien crafts are apparently advanced enough to maneuver through space in extraordinary ways * as has been seen by countless human witnesses. In spite of these witnesses, however, the military and government still refuse to admit that there are other living (intelligent) creature out there, in “flying machines” that somehow accomplish the goals of space exploration over the unimaginable distance that we’ve been talking about. *The government and military keep giving us reasons—sometimes bordering on the absurd, why UFO sightings are our eyes fooling us or are natural events that we’ve misinterpreted. Okay, let just say that there has been ten million sightings and they have all, but one, been proven to be bogus in one way or another. Only one actual sighting is enough to give credibility to UFOs in our skies, There has been thousands of reports, however, by highly credible people worldwide. Far too many credible reports to be discredited by the nonsense of weather balloons and sunbursts, imagination and/or hallucination. So why do the social engineers want us to believe there just ain’t no flying saucers except in our own mindscapes? There's a large world population that suspects their governments of UFO cover-ups and certainly this is true in the United States. In America, our wakeup call came in 1947 with the crash of a UFO around forty miles from Roswell, New Mexico. As the story goes military personnel not only found strange metals amidst the debris of the crash but also alien bodies Credit: www.brainz.org An intelligence officer even reported this to the newspaper but then retracted the story saying it was a mere crashed weather balloon. The Military has been saying "nonsense" to UFO sightings ever since. Then there is the report from the department of the Canadian government actually admitting that UFOs are real. Indeed, it has been said that the Canadian government has actually communicated with an alien they call AFFA and attempted to get AFFA's craft to land at a secret base. Well, before you scoff at the Canadian story, there is another one about our own CIA. It has been said to have communicated with the same alien named AFFA. There are also whispers about Hillary Clinton playing a role in the White House that had to do with UFOs. While we can't confirm any of these stories or even the one's about the Nevada Air Force base commonly known as Area 51 we can't simply assume that all stories of UFO sightings are nothing but wild stories and myths either. In fact, most recently rumors are spreading about Dugway Proving Grounds outside of SaltLake, City, a military outpost suspected of conducing secret programs that are unraveling extraterrestrial technology. In reference to actual encounters with alien beings, one impressive report claims that in 1954 an alien spacecraft landed at Holloman Air Force Base and an alien from that craft requested a place where "they" could conduct genetic experiments.. 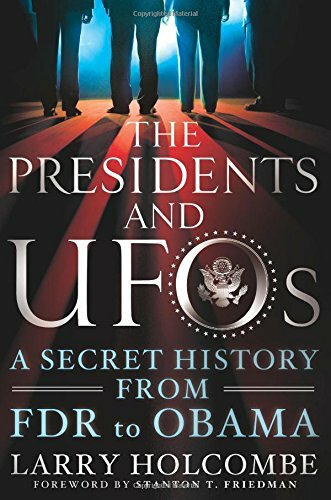 It is further said that after meeting with the aliens, President Eisenhower signed a treaty (the Greada Treaty) that committed both the aliens and ourselves to absolute secrecy. The exchange was that for the landing base and experimental station the aliens would give "us" their advanced technology. (The secret base is said to be somewhere around 4-corners, the area that joins Utah, New Mexico, Colorado and Arizona. In regard to this agreement, there is a governmental group formed called MJ12 to keep in communication with the aliens. Tis select group is said to include George Herbert Bush, a member of MG12's officials. It is also whispered that the Defense Research Board Experimental station in Canada also has a landing field for alien spacecrafts. Certainly because of cover-ups we cannot know what to believe and what not to believe. What we can't deny, however, are countless reports often by multiple, credible witnesses that tell us about their sightings of UFOs and their encounters with them. I know my sighting was absolutely real and fortunately, I wasn't alone. The greater mystery seems to be then, why the global cover-up by governments? Without any doubt whatsoever we can safely say that UFOs exist and are seemingly piloted by intelligent, alien life. And, while we can at least guess that smaller ships may be mere drones, we can legitimately speculate that mother ships are teaming with life. Can we believe this...really? Well, there may be as many as 60 billion planets that can support life in our Milky Way alone. It is simply absurd to believe that our tiny pin drop in the sky is the only life-giving plant that grows intelligent life. In fact, compared to a great many other planets we are relatively young so a great many may well be thousands if not millions of years ahead of us in higher technologies; technologies that merely challenge our imaginations today. A most common answer to this question is that government fears massive panic if we, the general public, thought we really had visitors from other places in the cosmos. This is utter nonsense. While there might be a few nut-cases hiding in closets and jumping out of windows, most of us would be curious and perhaps a little leery because we know human nature so well, but, on the other hand, we would remain positive and hopeful. And so, if most of the world's population would be receptive to alien life, why deny that it exists? Well, it comes to no surprise that, first of all, if we all knew (for certain) that aliens exist, the world economy would be immediately affected. We would certainly stop looking at each other as separate but rather as "earthlings" sharing a planet. Religious and political centralism would take on new paradigms. Another way of putting this is that the "us and them" reality that we now live in, would suddenly apply to aliens instead of ourselves as different races, cultures and so forth. Governments, you see, need conflict between cultures to function and maintain the status quo. If we knew that their were actually aliens from others worlds we would weave together the people of our planet as being in oneness with one another. We would, at long last, finally realize that we humans are ALL the same and our differences are only apparent. Indeed, we would no longer have reasons to war against each other;; our religions, especially the Big-3, Judaism, Christianity and Islam would have to admit that their exclusivity and teachings are compromised and not as absolute as they have projected that they are. Even the images of God would change dramatically. After all, the way we observe power would immediately change; since all economies would eventually become global and a global government would be necessitated. This would mean that resources would have to be shared as apposed to being used as a bargaining (or coercive) tools. We might even construct a more conscientious distribution of world wealth. Indeed, knowing there are aliens out there we might even begin treating others on our planet as we want to be treated? Governments simply do not want these kinds of changes to occur. Indeed, as said earlier, there is a bureaucratic need for human conflict to exist in cultures, even locally Rich against poor, black against white, Jew and Gentile, commerce against customer and even male against female. These conflicts create government cohesive and therefore powerful. It isn't only presidents and popes that use human frailties to their own advantage but entire social bureaucracies AKA systems. What governments (and their militaries) especially fear be they a democracy, autocracy, theocracy or what have you, is that, God forbid, we ever become a planet of goodwill toward each other Credit: www as human beings. And so, the cover-up of alien, intelligent life, remains a classified secret. Thank you for a great article. Thumbs up! I personally believe that of course there is life "out there". But I also believe that the Universe is so big that we will never find it. Then the question is, whether some intelligent life out there will ever find us? Well, we are not that interesting that they ought to waste time on us! Hi Thanks for the comments--always appreciate hearing from you. Yes, the vastness of space creates an objective view of space travel difficult to come by that's for sure. Yet, I maintain that UFO sightings are objective at least mine was. Anyway, thanks again and good hearing from you.. Remember that U.F.O. stands for "unidentified" flying object. Just because you don't know what something is doesn't necessarily mean it comes from outer space. I personally witnessed an incredibly fast white object streaming across the sky while I was travelling in the US. I was near a military base at the time and I believe that what I saw was a secret experimental aircraft. Very nice reply and you're right, every Unidentified flying object certainly is from some planet X...on the other hand the UFO U witnessed accomplished feats, at a height, that our technology just couldn't match.. I think it is fine to be skeptical and careful about what we believe to be true and false.. And, I am sure what you saw was, indeed, an experimental aircraft. Thanks for the comments. 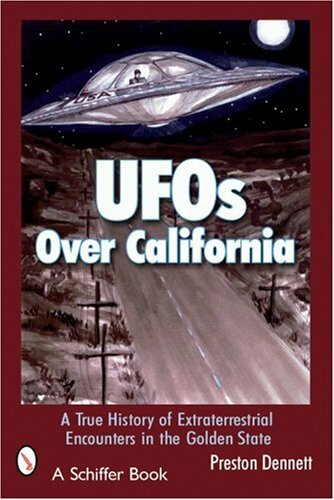 I have no insights to add on the topic, but I've had my own experiences with UFOs, and so have reliable people I know. I have never been able to understand the time-bending travel stuff, so I really appreciated your ideas about inter-dimensional travel. That fits with my own experiences. Hi Lavender:so nice to hear from you. It's nearly always those people who have NEVER seen a UFO who deny them. That's an interesting phenomenon to me but this is the same of NDEs, about which doctors and scientist tell us they are mere hallucination without ever having a NDE themselves. Anyway, thanks for your comments and I'd sure like to hear about your experience. If you ever get time,, send me an email.